Army crawl, can't leave him out of sight anymore. Pulling up on his bookshelf. He likes to pull all the books off the shelf (and eat them too). Rolling the ball back & forth with mommy. His favorite toy is a lime juice bottle. They had to poke my finger but I got a cool band-aid to play with. beginning to throw little fits - Believe it or not, the stubborn streak is actually key to his development. When he tosses something on the floor or ignores you completely, he's developing his sense of himself as a person who's separate from you. Plus, continuing on his path of destruction, despite your protests, is actually a step toward a prolonged ability to concentrate (though you should be consistent about setting limits, especially where safety issues are concerned). Read this devotional by Alicia Chole and thought it was worth reposting. “Ah, but it’s a love-filled smirk! One ~ In Creative Prayer, Bridgid Herman states that, “The most formidable enemy of the spiritual life and the last to be conquered is self-deception; and if there is a better cure for self-deception than silence it has yet to be discovered.” Prayerfully think about the connection between noisy living and self-deception. How can silence unveil deception? Two ~ Consider Psalm 130.5: “I wait for the Lord, my soul waits, and in his word I put my hope. My soul waits for the Lord more than watchmen wait for the morning, more than watchmen wait for the morning.” Earlier generations often spoke of “waiting” on the Lord. Is the “waiting” spoken of by the psalmist familiar or unfamiliar to you? Spend a few moments evaluating the “quiet” in your quiet time. Are you comfortable or uncomfortable with silence? What role does listening/silence have in your prayer life? 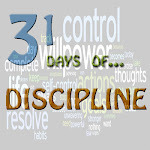 Three ~ This week try an experiment: carve out 3-5 minutes each day to simply rest in stillness and silence in God’s presence. For these few minutes just “be” without reading, speaking, asking, singing, or working. Wait on Jesus not for answers, but because He is worthy of waiting upon. Honor God with a few minutes of silence and stillness. We spent a week at Camp Tejas this year with our youth and it was amazing! Being that this is one of the biggest events of the year I didn't want to miss it. I have to admit I was a bit nervous... you see I'm a Connect Leader with the junior girls but I was also taking Mack and I HAD to be mom first. 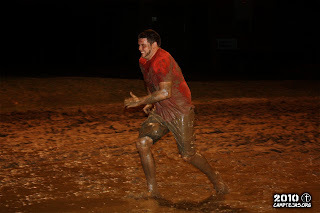 Micah obviously needed to be fully engaged since he was spearheading the event as youth pastor. I wasn't sure how Mack would do with traveling on a charter bus for 7 hours or the fact that service didn't start till 7 pm and he was usually in bed by 7:30. Micah assigned another church lady to sleep in the cabin with my girls and for back-up in case I couldn't be available for devotions or group time after services. May I brag for just a minute on my 81/2 month old? Ok, well I'm going to anyway... he didn't fuss the entire trip up, he kept to his feeding and napping schedule and stayed up 2 1/2 hrs past his bedtime each night without a peep allowing me to have group time with my girls, then went right to sleep without any problem afterwards. I love my kiddo! (I know I had back up but it just wouldn't have been the same since I am the one that meets with them weekly and knows them). Out of the 200 students (between junior high and high school) I had 11 junior girls go with 4 different schools represented and prior to camp they didn't really talk much during our Sunday morning Connect time. After camp they have been inseparable! It was so cool to get to see God work in their lives as well as build healthy friendships that will encourage them in their walk with God. 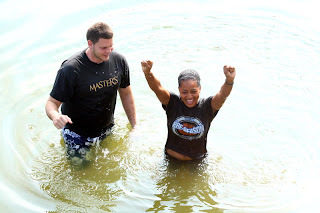 One of the highlights at camp was when Micah had the privilege of baptizing one of the students. 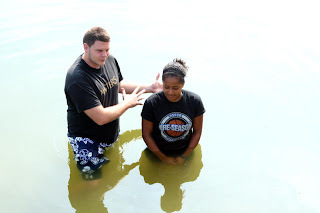 On August 25 we are having a student baptism service where over 52 students will be getting baptized but Nashae is moving away and will miss this service so Micah baptized her in the lake at camp. What made this event even more special was Nashae was in Micah's mom's connect group. Karen's mother (Micah's grandma) died the Saturday before camp, she was with her when she passed away, but the next day left in order to make it to camp on Monday. Nashae had been growing deeper in the Lord and wanted to be baptized. When Karen asked Micah if he could baptize her at camp he said he would work out a time. Only God could have orchestrated that baptism. At the moment Micah baptized Nashae, grandma's funeral was starting in Oklahoma. What a glorious experience--saying a final farewell to a woman who had valiantly lived all her days for God (she was still sewing quilts for missions at age 92) and baptizing a young woman who has committed her life to follow Jesus passionately! It doesn't get any better than that!! 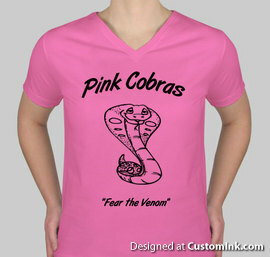 As part of the week each group had to come up with a team name and slogan - we were The Pink Cobras: "Fear the Venom". They liked it so much we are actually having a t-shirt made for each of us to wear to all of our Connect outings. Here's what our shirt will look like, on the back we will each have our name. Micah & Mack on the charter bus. Swimming in the very warm pool. Micah in the mud pit. The Pink Cobras, last night after service. 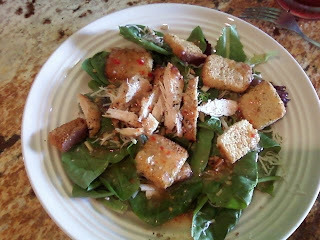 Homemade grilled chicken salad for lunch"
Well since I blogged 15 times during the month of July there's not too much to tell so I'll just hit the highlights without getting into all the details. Mack is oficially 8 months - trying to crawl, pulling himself up to a standing position (which required us to lower his crib), got his first tooth and is working on the second one. 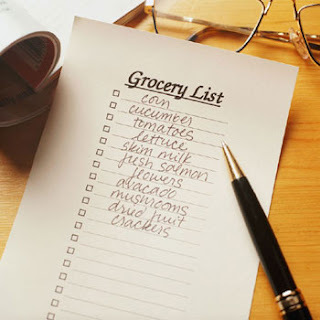 We've successfully made it through two months of Sunday night "Crump Planning" where we get a game-plan for the upcoming week from date nights, special events, fellowshiping with others, to planning out our meals and weekly groceries. We've had a lot of fun planning and trying new meals and even cooking together! Last week I came to grips with reality and realized I need help... 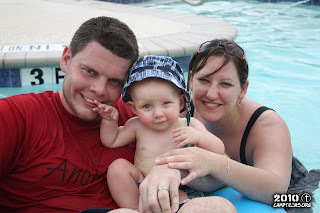 I'm overweight and I can't keep using the excuse "I just had a baby" - he's 8 months already! I feel like it's been affecting me in so many areas. For starters I just don't feel great all the time, I don't sleep well, I feel irritable (even though I don't always act that way), I'm insecure... my metabolism isn't that of a teenager anymore and frankly I didn't want to admit I needed help because that meant accountability and I knew it would be hard. Then I realized not only was I being a bad steward of the body God gave me, it would sooner or later not only affect me in health issues but also those I love most. 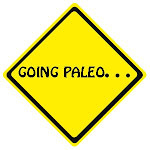 I understand it's going to take time, it's not going to be some miracle crash diet that does the job either - it has to be a LIFESTYLE CHANGE! To be honest this is very humbling for me to even write but without transparency I won't last more than a couple of weeks. My name is Buffi and I'm addicted to unhealthy food - I NEED HELP! I'm on the road to recovery, not just to lose weight but to be healthier.